Community Service - Tree Smart Inc.
Meet the 2015 Tree Smart T-Ball team ! Opening day was held at Linden Park today and we are all ready for an exciting year. 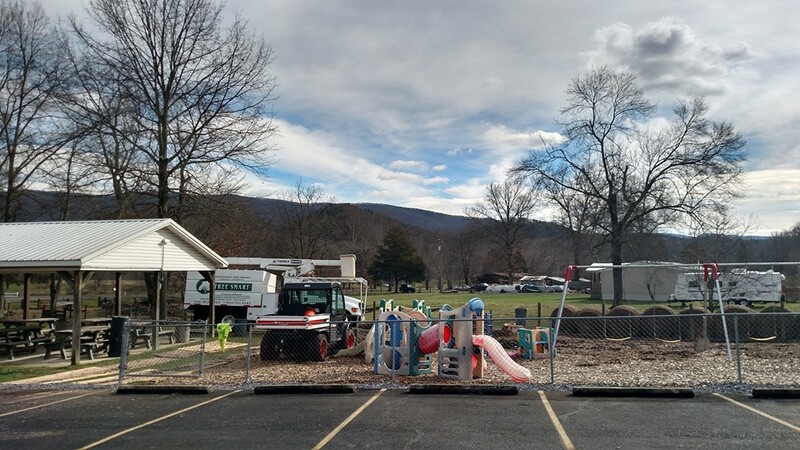 Recently our team completed a community service project for the Clifton Forge Little League. 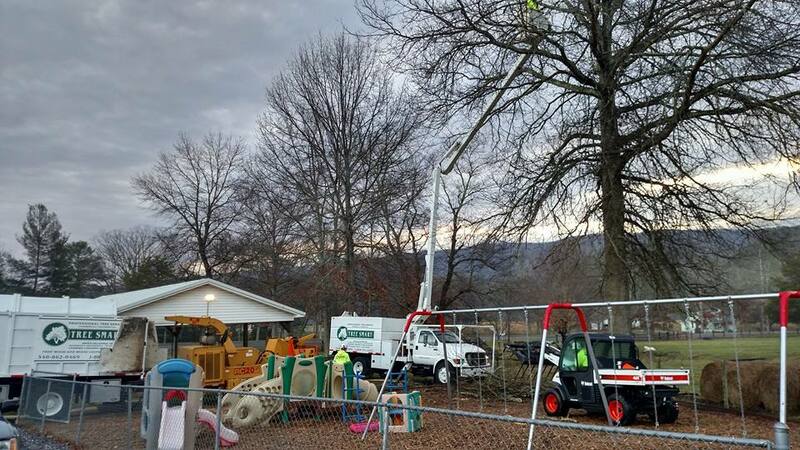 We donated our equipment and labor for a day at Memorial Park to trim back dangerous trees and their limbs from over the backstop and bleacher areas. We had to take the trees back a lot more than we prefer to due to the many previous toppings the trees had done in the past, in order to remove the weight from the decaying trunks. Tree Smart Inc. is proud to be able to provide services to help our community! Meet the 2014 Tree Smart T-Ball team ! Opening day was held at Linden Park today and we are all ready for an exciting year. On July 7th Tree Smart Inc. performed a community service project at Camp ACCOVAC in Millboro Va during Working Wilderness Week. We donated a day with all our equipment and crew to clear trees and brush around the ball field. I want to take a moment and thank all the camp staff and campers who helped and special thanks to the kitchen crew for feeding our hungry crew a great meal. The camp does great things for our Christian community and we are proud to help and be a part of their service. 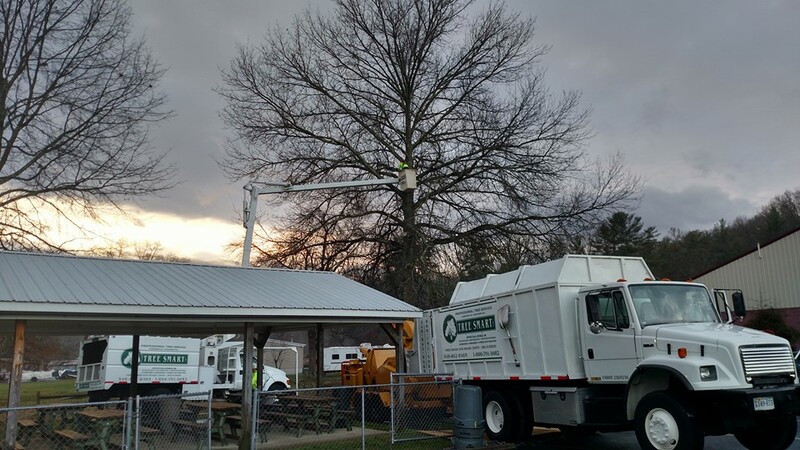 Watching the sun rise during an early morning removal of large dead oak at Lone Star Church. 5 hours, finished and getting ready to pull out. Three day weekend for the crew, Happy New Year!